Winter snow may look pretty, but it comes with some not so pretty and dangerous outcomes like icy roads and walkways. So, having the correct product for your needs is important. When it comes to ice melt, many people find themselves asking, “How much do I apply?” Good question. First, you need to understand the difference between ice melt and rock salt and know that different temperatures and surfaces require the appropriate product in order to work effectively. Ice melt is a product blend made of sodium, calcium, or magnesium chloride, which melts snow and ice at a much lower temperature and more quickly than plain rock salt. 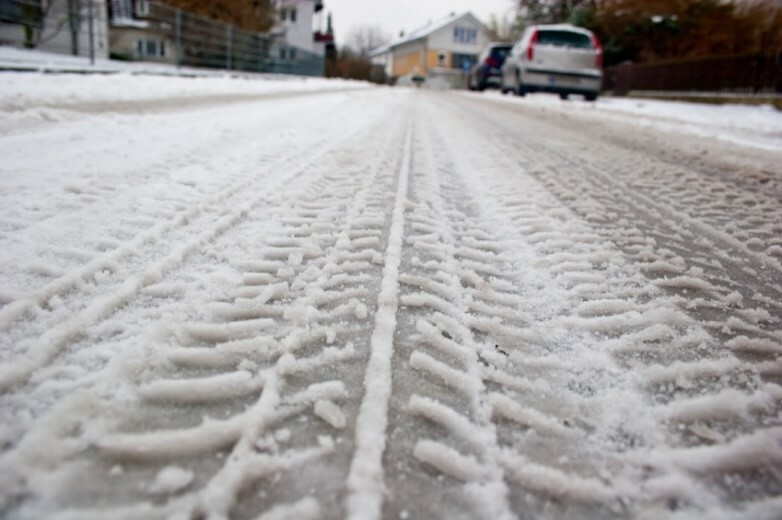 It is best to apply ice melt before the winter weather hits because it will prevent ice and snow from freezing onto your surfaces and roadways. 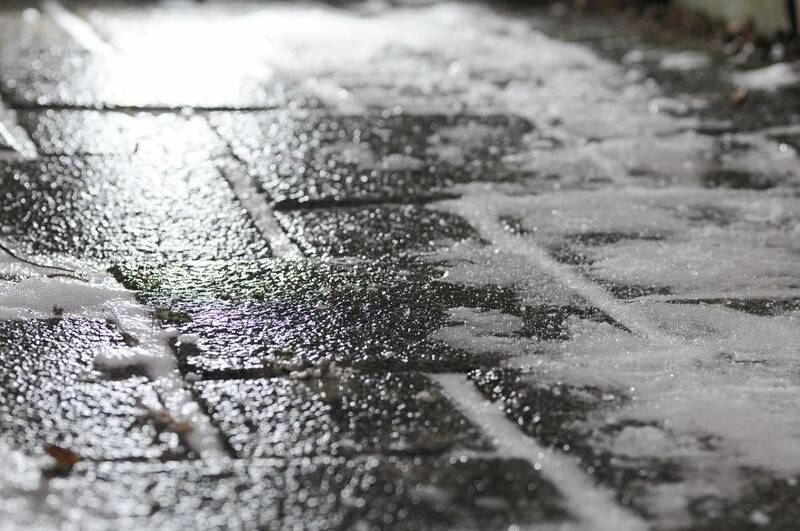 It is also important to note that it is most effective to use ice melt products before, during, and after weather hits in order to keep roads and walkways safe and clear of ice. 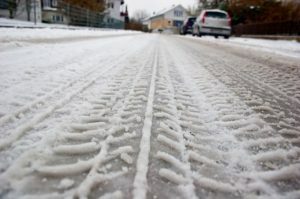 For best results, apply thin layers of ice melt and rock salt periodically as weather continues. Too often, people make the mistake of using too much ice melt because they think that the more they use, the better its performance will be. However, when it comes to ice melt, less is usually more. Over applying ice melt can burn the vegetation beneath or around the area in which the product is being used. It’s important to remember that every ice melt product is different and may call for different quantities to apply. Remember to read the label on your particular ice melt product; it should list the recommended amount of product to put down for a particular area. Keep in mind that ice melt dissolves in liquid and spreads out with use. So, this means that you do not need to cover every inch of the sidewalk or surface with product. 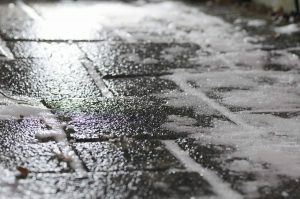 Using too much ice melt can result in buildup, which, when tracked indoors, can permanently damage floors and carpets. For this reason, it’s also important to clean up ice melt in a timely manner if it is tracked inside. In addition, be sure to put doormats outside and inside all building entrances and clean the product off of them on a regular basis. Timing is key when it comes to applying ice melt. The most important time to apply product is before a snow storm hits. While it may be difficult to determine how much you’ll need before the snow starts, pre-applying ice melt is a necessity and can greatly impact the snow removal process and ice melt application cycle. If a surface is already covered in ice and snow, try to shovel or wipe the surface as best you can. Then, apply the ice melt or salt due to the nature of how the product works. If you have any other ice melt-related questions, please don’t hesitate to contact us!